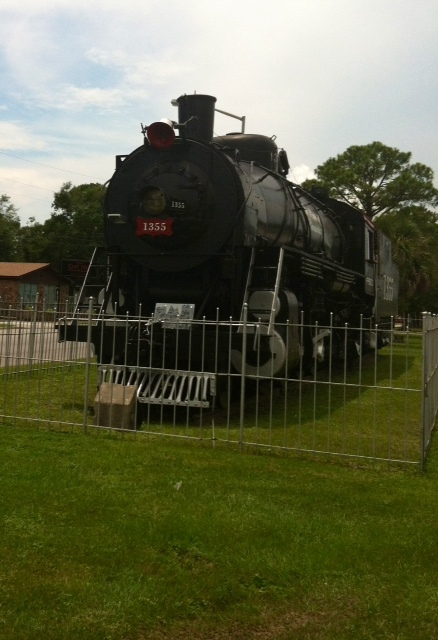 This is a photo of an old train engine no longer in operation. It’s on display in the median in my hometown. Every time I drive by it, I’m reminded of my murder mystery with romantic elements- Senior Assassin– that is now due to be released at the end of September, 2014. I love old trains. So romantic (although I’m sure they weren’t when coal smoke was coming out of the smokestack and the windows were open. I bet a lot of folks inhaled some nasty black stuff there. Haha.